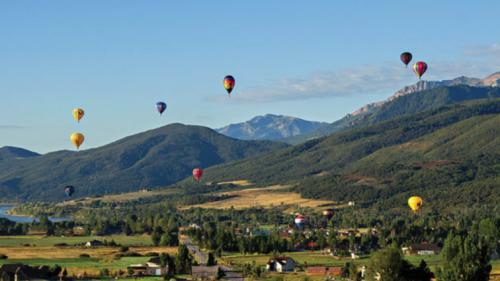 The third weekend in August brings balloon pilots, artists, musicians and tens of thousands of attendees to Eden Park in scenic Ogden Valley. The morning and evening skies are dotted with dozens of hot air balloons as families peruse locally made arts and crafts to a soundtrack supplied by area bands. Take a tethered ride, grab some grub and settle in for the nighttime balloon glow.